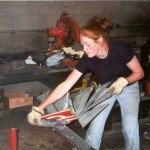 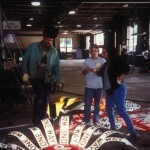 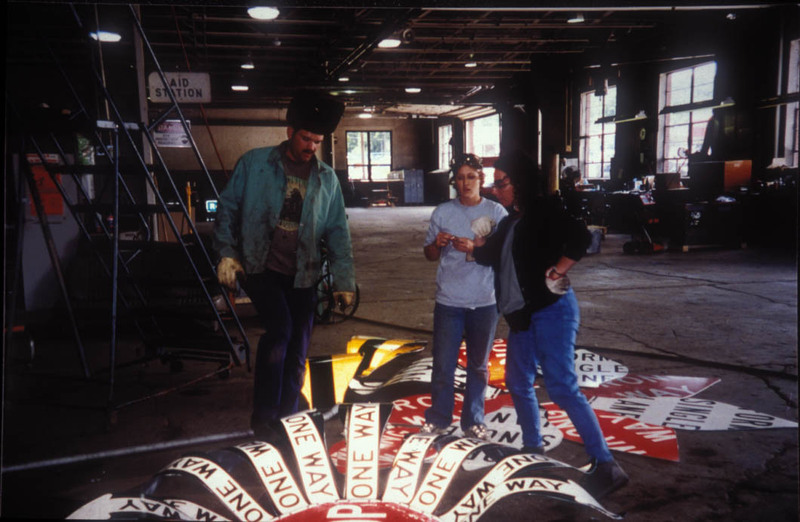 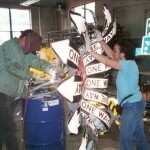 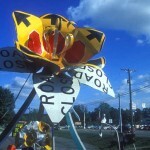 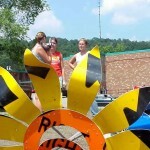 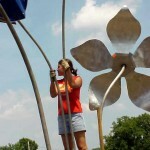 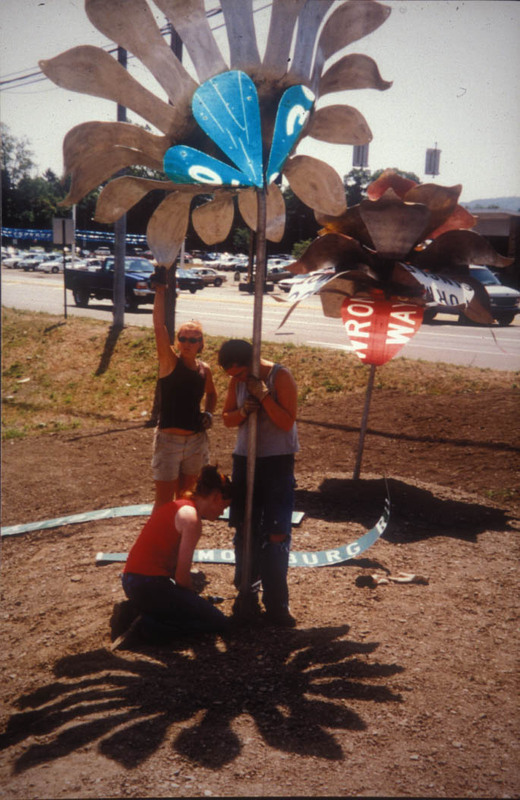 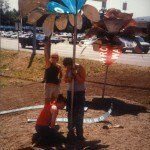 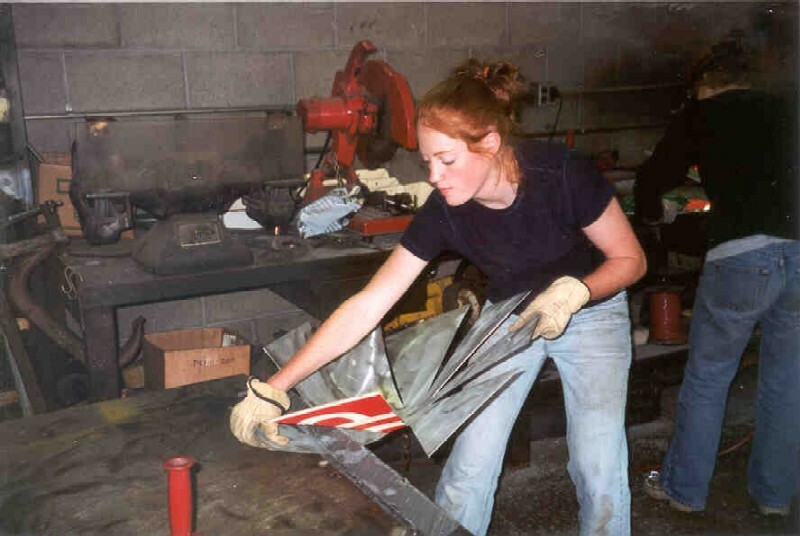 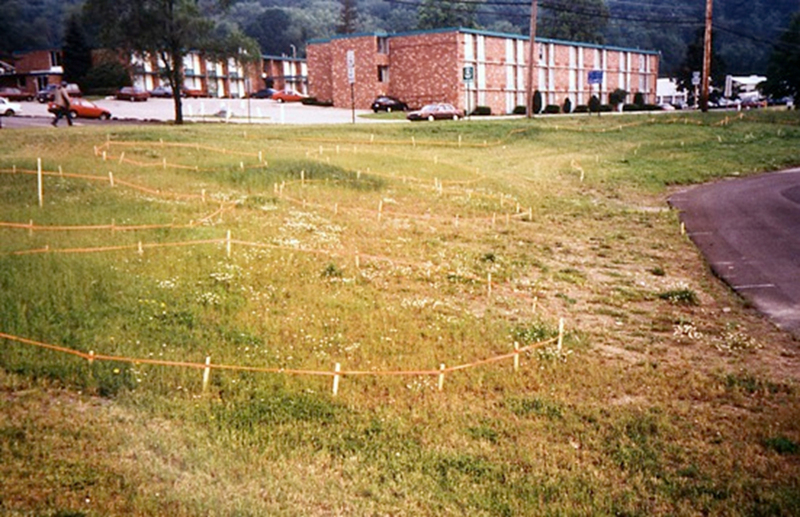 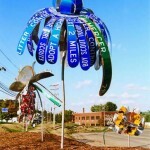 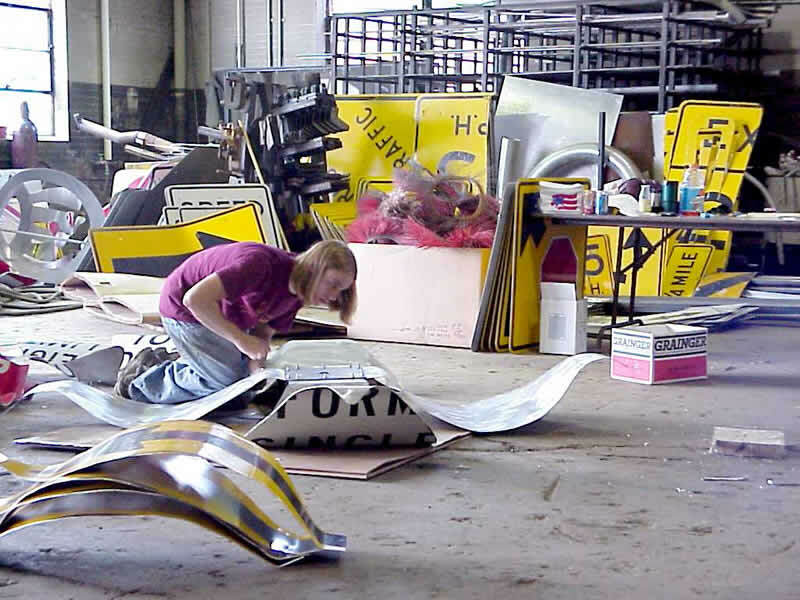 Begun in 2001, the original concept for Signs & Flowers was developed by students working with Allegheny College’s Arts & Environment Initiative (A&EI). 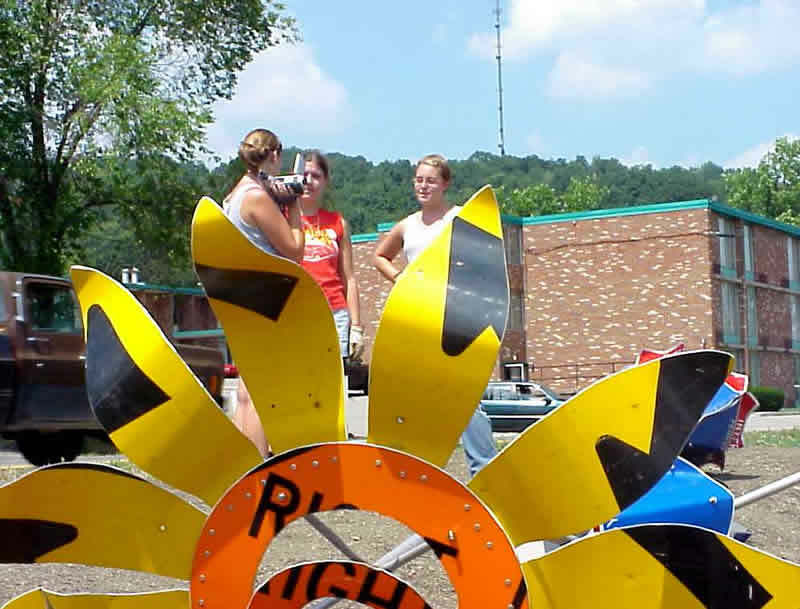 PennDOT had contacted A&EI for assistance in beautifying their grounds and increasing awareness of their presence in the community. 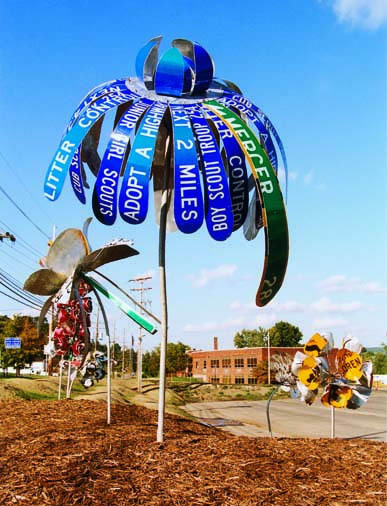 Under the direction of Professor Geffen, art apprentices worked in collaboration with PennDOT welders, road crew and heavy equipment operators to create a sculptural garden that speaks of our human impact on the planet. 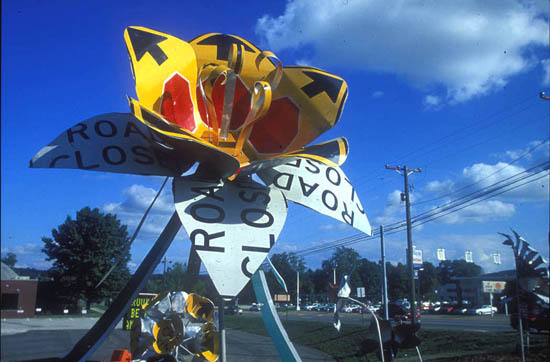 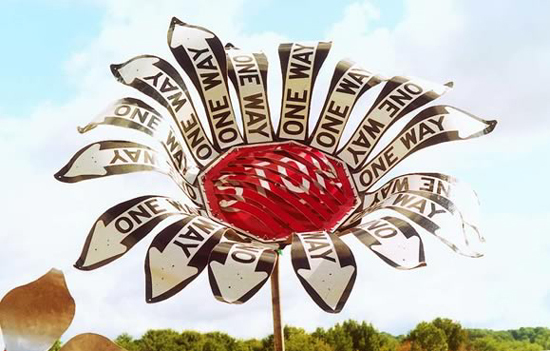 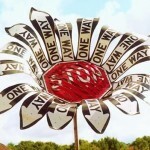 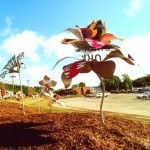 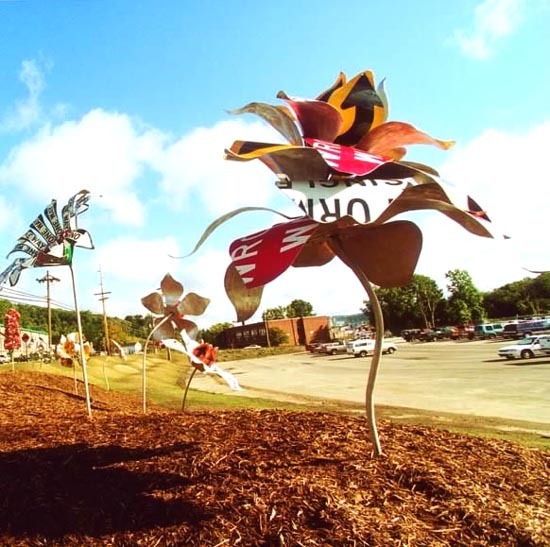 Twelve enormous (10′-12′ high) road sign flowers and rolling mounds echo natural forms. 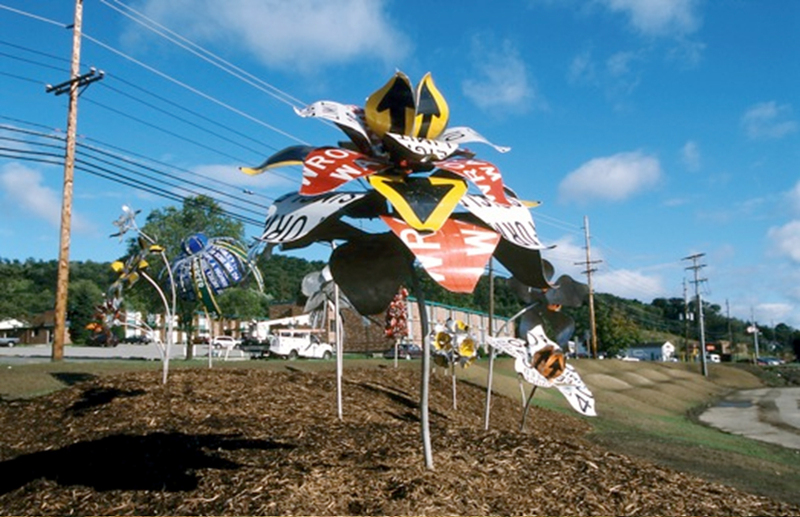 The sculptures dramatize our tendency to control and refine nature. 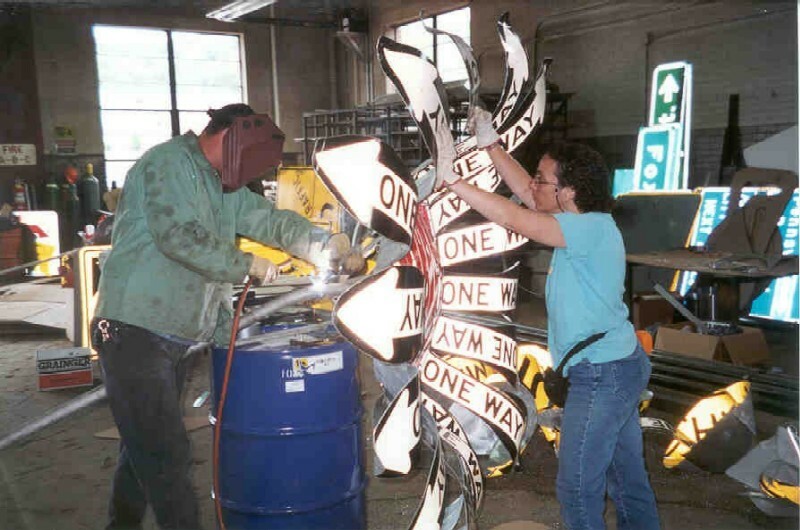 Signs & Flowers won the Team Innovation Award at the 2002 Pennsylvania Innovation Expo. 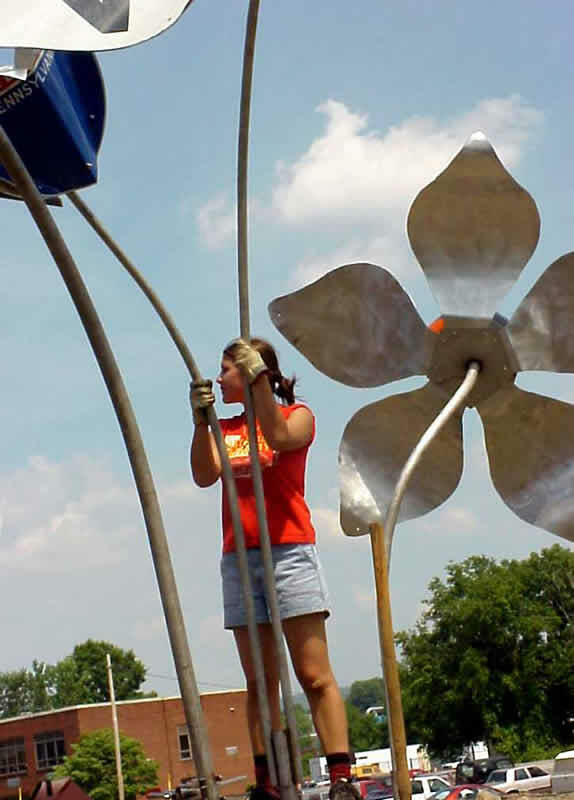 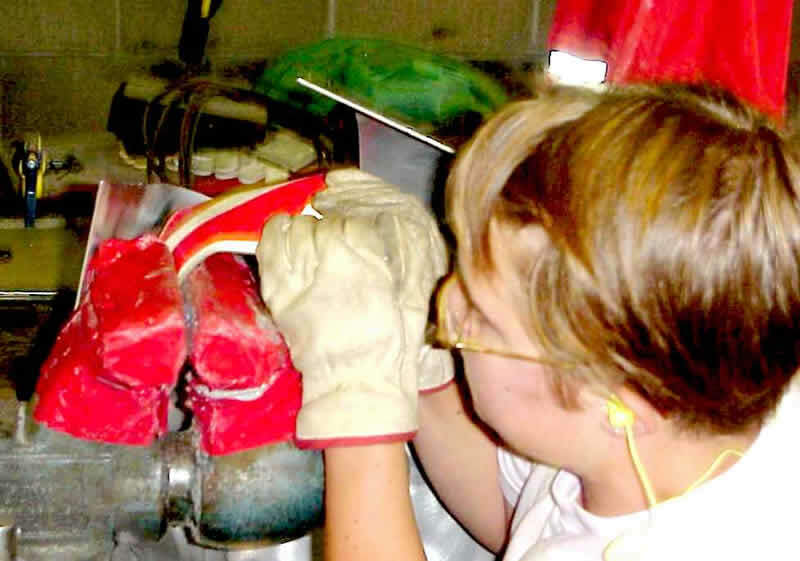 Fifty -four projects from every state agency were eligible for this award.